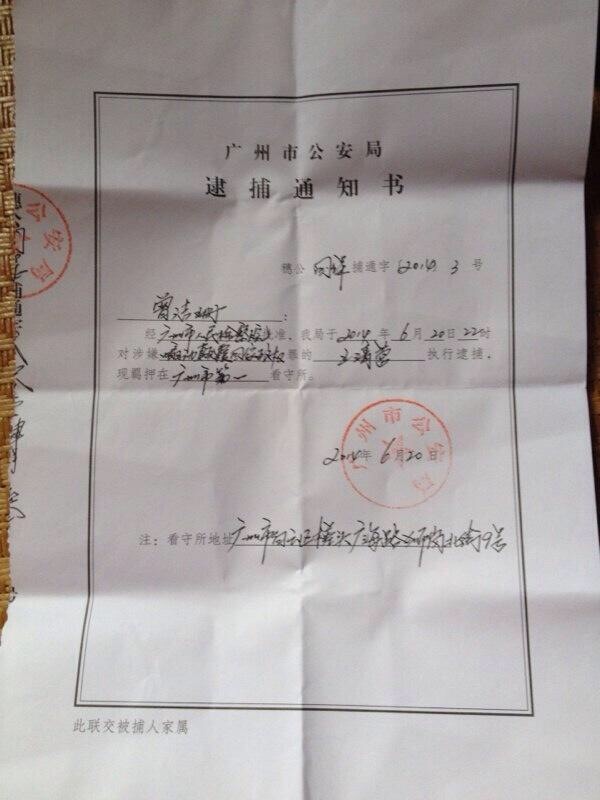 Wang Qingying (王清营) was formally arrested on June 20, 2014 on suspicion of “inciting subversion of state power” (煽动颠覆国家政权罪) and is currently being held at Guangzhou No. 1 Detention Center (广州市第一看守所). He was first criminally detained on May 16, 2014 on suspicion of “picking quarrels and provoking troubles” at Baiyun District Detention Center in Guangzhou during the pre-June Fourth 25th anniversary crackdown on dissidents.